Grocery shopping just got a whole lot easier for Guthrie shoppers. 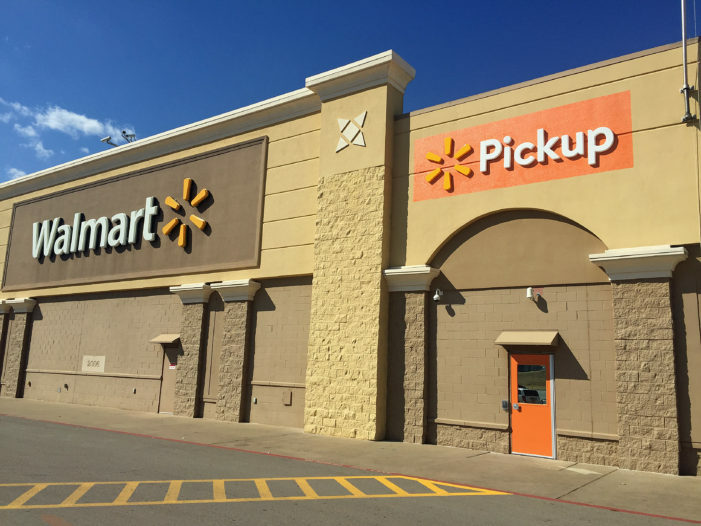 Walmart, the largest grocer in the U.S., launched its Online Grocery Pickup service at the Guthrie Walmart Supercenter at 1608 S. Division St. The free service enables customers to order groceries online and pick them up at the store without even leaving their cars. More than 70 stores across Oklahoma currently have Online Grocery Pickup, with more planned to launch throughout 2019. “At Walmart, we have always been known for saving our customers money and, with services like Online Grocery Pickup, we are also saving them valuable time,” said James Pelletier, Walmart eCommerce Market Coach. Walmart is the top choice nationwide for grocery pickup. More than 35,000 Personal Shoppers across the U.S. are specially trained to select the freshest meat, dairy or produce for each order. There are no added fees, and all items are priced at the same low prices customers find in their local Walmart stores. Order and Choose a Pickup Time: Customers visit walmart.com/grocery online or through the Walmart Grocery mobile app, enter their ZIP codes to select a local store and begin creating their shopping lists. During checkout, they select a time to pick up their orders. Pick Up and Go: Once a customer arrives at the pickup location, there will be reserved parking spaces marked in orange, and a designated number to call to alert an associate. An associate will quickly retrieve the prepared order and load it into the customer’s car.